A exciting new band featuring three of the UK’s top roots and blues musicians: drummer Sam Kelly, larger than life personality and guitarist/bass player and singer Earl Jackson and multi instrumentalist and tap-dancer Stompin’ Dave Allen. London based Sam Kelly has been voted into Blues In Britain magazine Gallery of the Greats, as a five-times winner of the ‘UK Drummer of the Year’ award. Sam has recorded albums with such well known artists as Gary Moore, Ruby Turner, Rory McLeod and Stan Webb. Over the years Sam has worked with Chaka Khan, Dr John, Ben E. King, Robert Plant, The Foundations, Billy Ocean, Roger Chapman, Michelle Shocked, and Ottis Taylor and many others. Sam has recently performed with Paul Jones, Imelda May, Robben Ford, Andy Fairweather Low and Chris Barber. Based in Nottingham Earl Jackson is on bass, guitar and vocals. A well known figure on the British blues and rock n’ roll circuits, Earl has performed across the UK and beyond. He has made appearances on BBC radio and TV including the prestigious Jonathon Ross Show, a widely acclaimed success. Earl is currently causing a sensation appearing as Chuck Berry in the popular theatre show Rockin’ On Heavens Door. 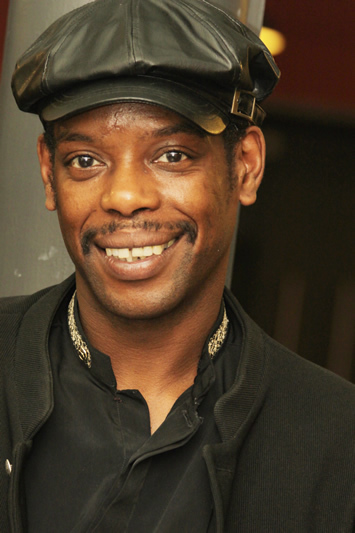 Born of Jamaican parents in Lambeth in 1964, Earl was heavily influenced by Gospel music. Much of his charisma and on-stage confidence comes from performing before ten thousand people or more at various Gospel events. “Entertainment with a capital ‘e’“ The Mad Rat Magazine. Heathlands Blues Weekend – here we come! Next Boogaloo weekend at The Toorak in the glorious English Riviera!